What comes to mind when you think of Miami, Florida? 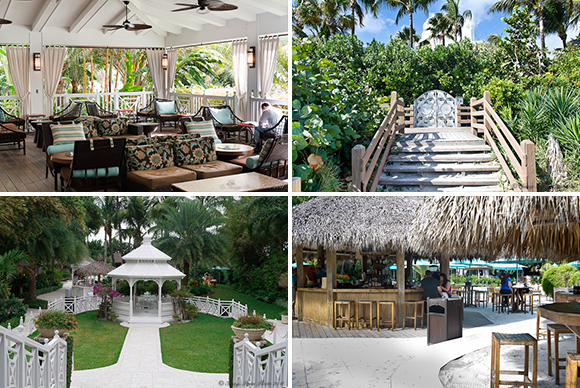 Perhaps gorgeous beaches, year-round sunshine, nightlife and South Beach? 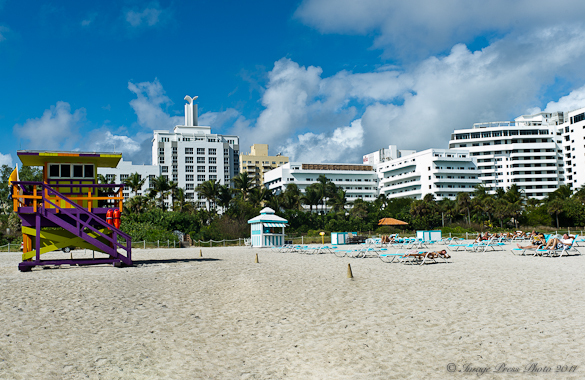 We also think of Miami and South Beach as a great travel destination with luxury hotels and incredible food. 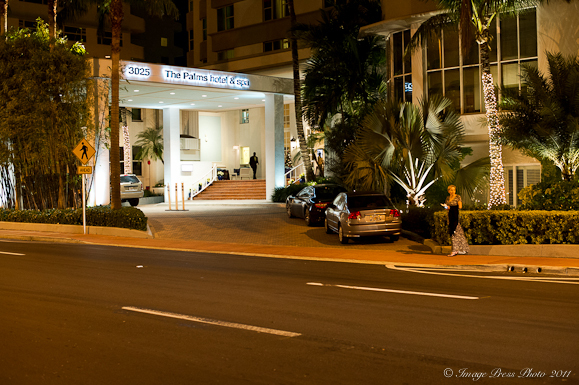 A few weeks ago we traveled to Miami as a potential city to host one of our On The Road culinary adventures in 2012. The Palms Hotel and Spa, a member of Preferred Hotels & Resorts and a AAA Four Diamond Award property, is a stunning hotel that was built in the 1930’s. This hotel was our choice for our stay. 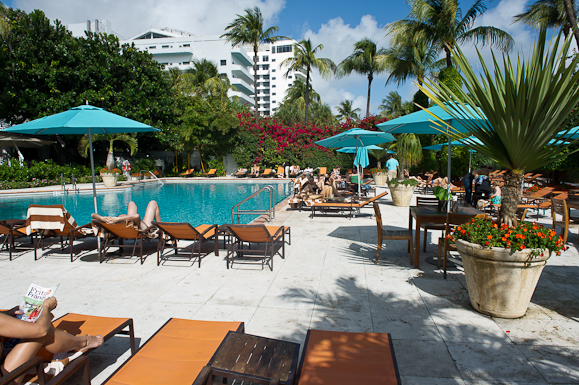 This elegant oceanfront resort is situated on a quiet stretch of beach just minutes away from the buzz of South Beach. The primary reason we chose this particular hotel was their gourmet restaurant, Essensia, which is known for its globally inspired cuisine and use of local, organic, seasonal and sustainable ingredients in their dishes. Their wine list is also 100% sustainable, organic or biodynamic. They say that Essensia is “the pure essence of taste”. 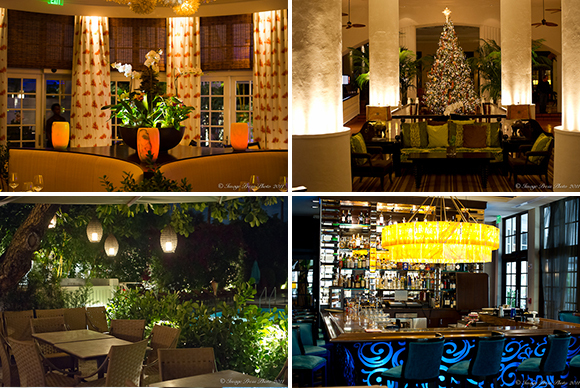 The hotel was awarded the Sustainable South Florida Award in 2011 for its green practices which extend beyond the kitchen. You will find that their Inspired by Nature Program influences everything throughout the hotel from the decor in the public areas to the rooms and the spa. 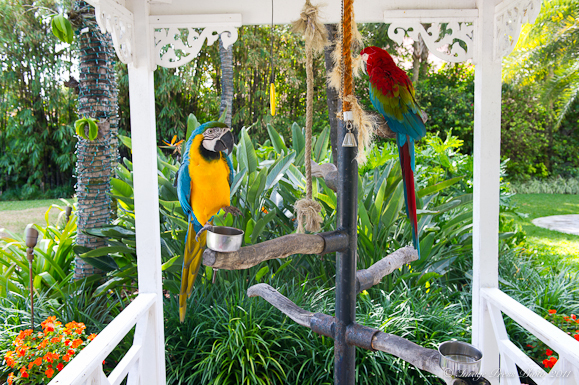 No tropical paradise would be complete without a Tiki Bar! 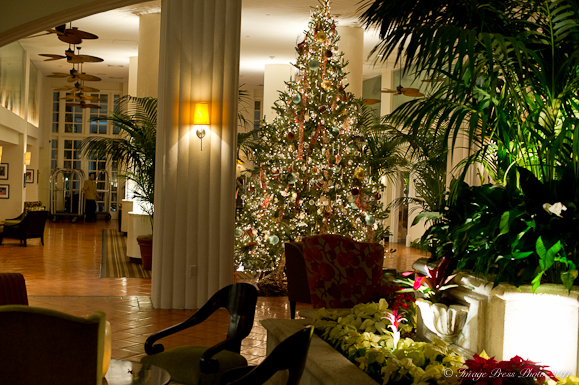 We loved the feel of the hotel from the moment we stepped into the lobby. 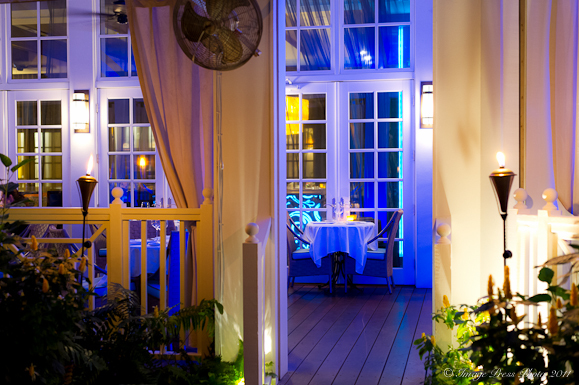 The lounging and dining areas, both inside and outside, were beautiful and inviting. We strolled through the property and down to the beach. The outdoor areas are a perfect venue for a special event or a wedding. We were also very impressed with the attentiveness of the staff and the excellent service at this hotel. We dined outdoors that evening at Essensia. The weather was perfect with soft breezes blowing in from the ocean. The menu, created by Essensia’s Signature Chef and Culinary Director, Julie Frans, is executed on a daily basis by Executive Operations Chef Jaime Magana and Executive Pastry Chef Christopher Jennings and their culinary team. Their menu is truly a delight for the senses. Forget the fact that we’re freezing and Miami’s warmth sounds pretty good right about now…THIS would win me over in a heartbeat. Wow is all I can say; nice right-up; gorgeous place. I vaguely recall wandering around South Beach when I spent the night in Miami on my way to Club Med Turks & Caicos, 20 or so years ago! It seemed like quite the happening spot then, and I’m sure it’s continued to grow. Lovely hotel and restaurant for the beginning of your travels at sea. And, oh gosh – panna cotta! I have to make panna cotta – it has been on the to-do list since before the holidays! Oh my! Looks like you had the perfect holiday! The panna cotta looks divine gwen! Absolutely delish! This looks like a perfect midwinter getaway spot to rest and rejuvenate. I love that the hotel is dedicated to sustainability and quality. Great post! we’re planning on going to FL in late March or April. After seeing your sunny photos I’m dying to get there! The hotel looks so nice and the food, oh the food is so tempting! Hi Roger and Gwen. I have my culinary and wine friends reading BunkyCooks. If you do have a trip to South Beach, I think that I can get them interested in joining you there. Wild Hibiscus Mojitos and Happy New Year!